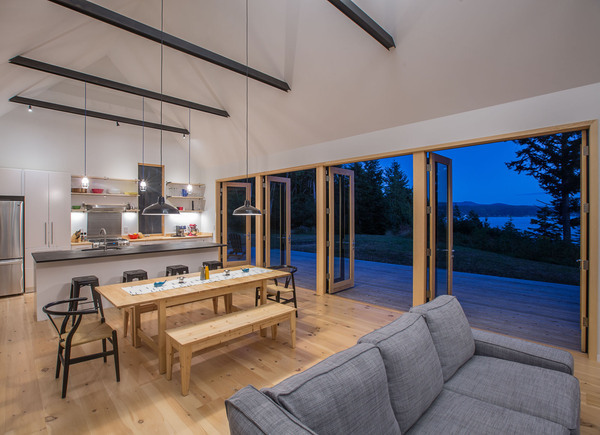 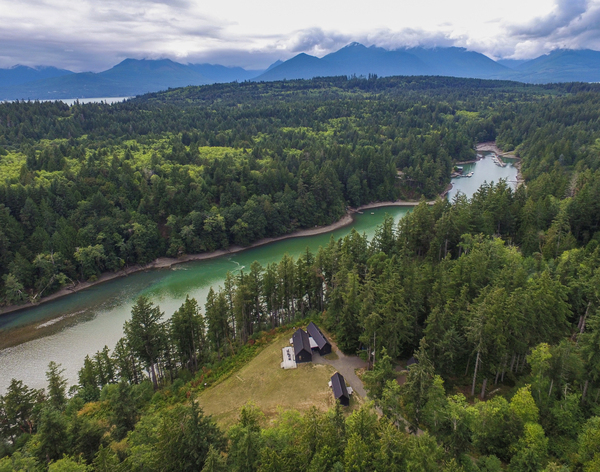 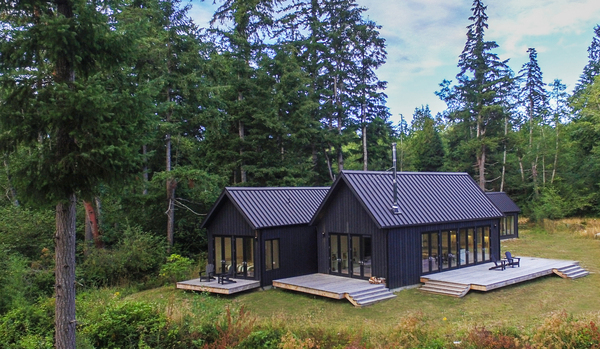 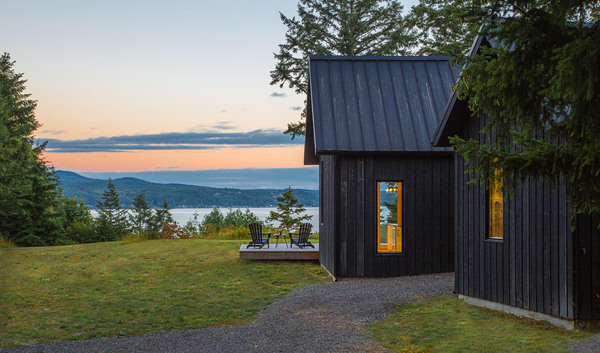 Located on a long peninsula extending south into Hood Canal, this vacation house for a Seattle family draws inspiration from its site and the owner’s Danish roots. 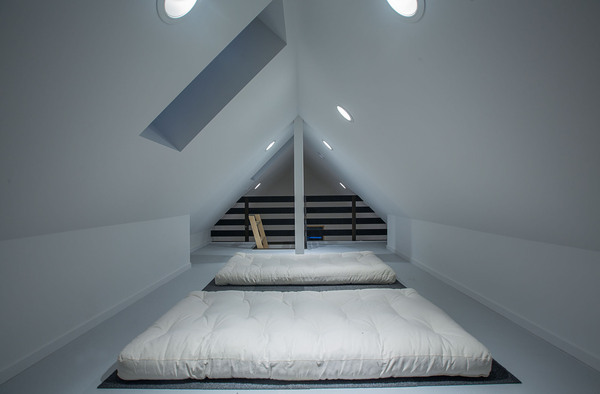 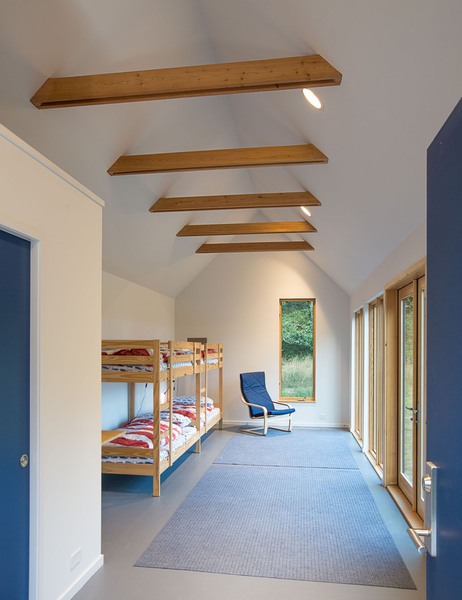 Using the clean, economical forms and materials of the classic Danish sommerhus as a starting point, the program is separated into three gabled structures whose composition carefully integrates with the site and maximizes its two distinct views. 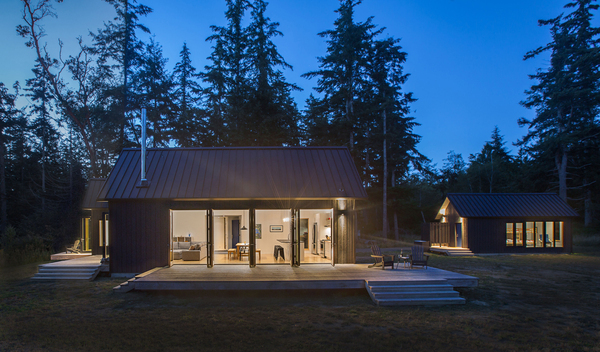 The simple forms, clad in dark stained cedar, sit quietly in the landscape, straddling the transition between dense Douglas fir and a small meadow that falls abruptly to the water. 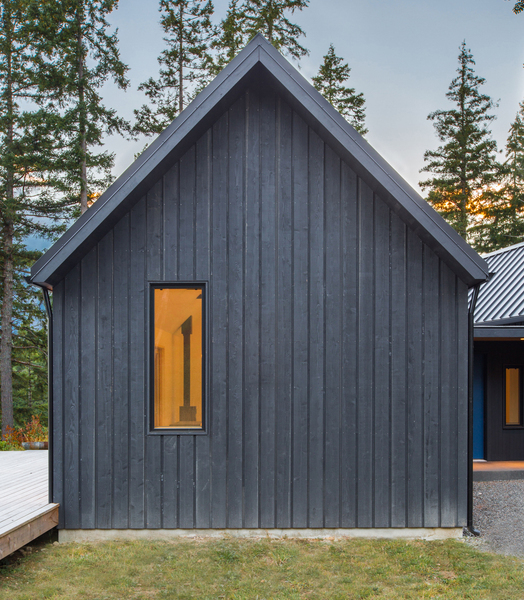 Embracing the quiet modesty of its Danish progenitor, the interior detailing of the house is clean and economical with minimal trim and a lightness that stands in direct contrast to the exterior. 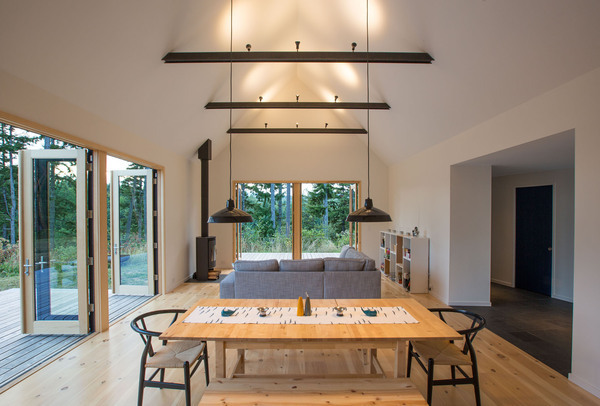 White walls, pine floors and wood windows and doors create a warm tone within the airy, vaulted spaces, while discreet darker elements such as collar ties, countertops and light fixtures are used to visually tie the interior to the more muted exterior. 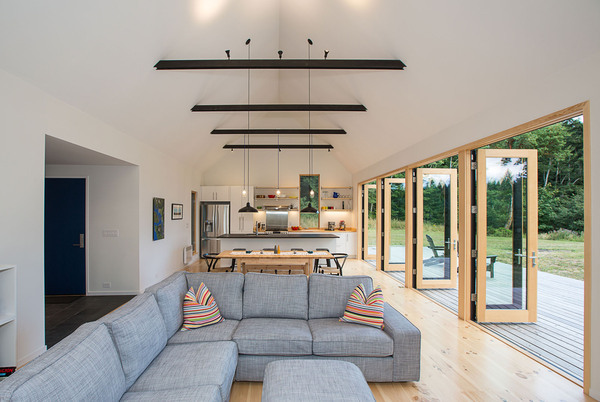 Cost-effective French doors open the primary rooms to the exterior, extending the space onto adjacent decks and the meadow beyond. 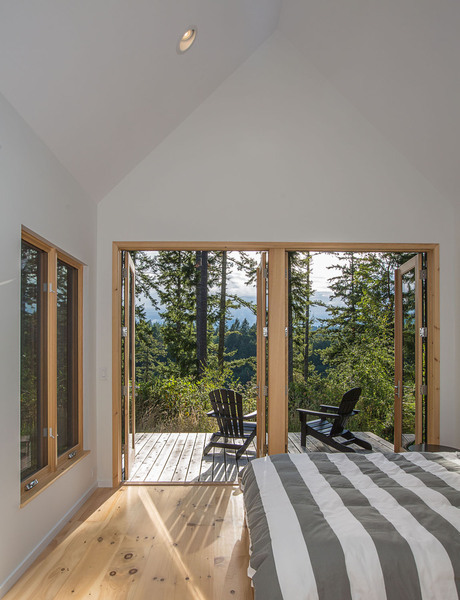 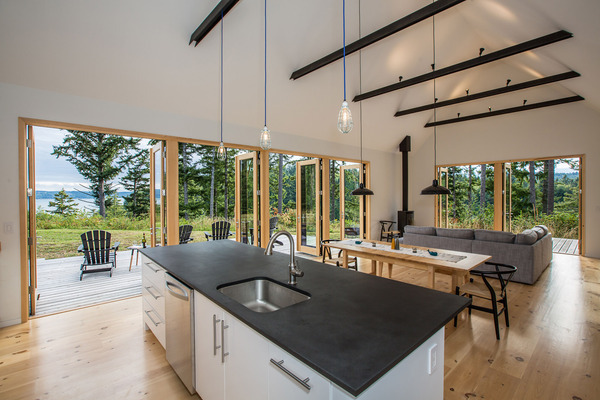 A narrow floor plan and numerous operable windows provide generous natural ventilation and daylighting. 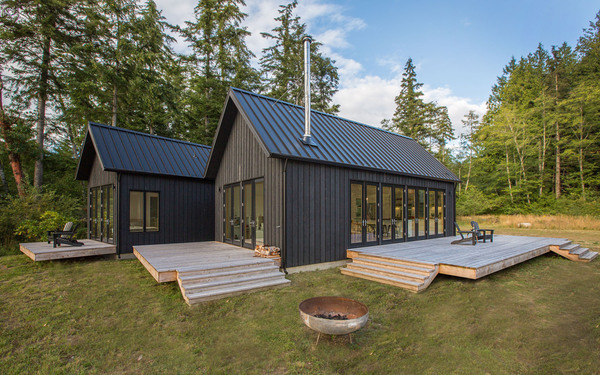 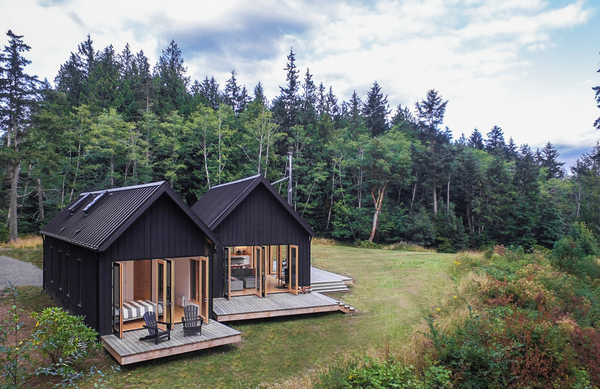 This project exemplifies an architect’s ability to blend the desires of the client with the opportunities and constraints inherent in a site and budget to create a cohesive and cost-effective vacation home. 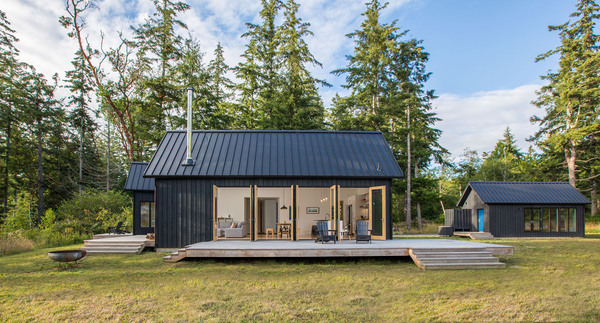 It is a warm and comfortable house that integrates gracefully with its place while creating a meaningful connection to its sweeping and varied landscape.